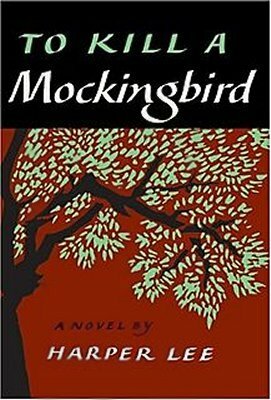 In response to the abrupt removal of Harper Lee’s To Kill a Mockingbird from the 8th grade curriculum in Biloxi, Mississippi last week, CBLDF has joined with other members of the Kids’ Right to Read Project in urging the school district to follow its existing challenge policy and convene a review committee for the book. No administrator, library media specialist, or teacher should agree to withdraw an item without referring it to a Review Committee which determines whether the material should be withdrawn from any or all schools. While the use of historically accurate language in conversations about racism is deeply discomforting to many readers, it is a necessary aspect of any realistic account of our nation’s history. A pedagogically sound approach to curricular selection requires educational professionals to ask whether a book has educational value, not whether it is comfortable. Although Biloxi administrators have repeatedly claimed that the action does not constitute censorship because To Kill a Mockingbird is still available in district libraries, the fact remains that representatives of a publicly funded institution took steps to restrict study of a book in response to a content-based objection. The district’s reconsideration policy regarding “classroom assignments involving library media center materials” is in fact designed for this exact situation. At a school board meeting last night, the mother who filed the challenge said that her objections extended beyond Lee’s novel and included the fact that classmates of her African American daughter had laughed at the use of racial slurs in classroom materials. The complainant and her own mother (the student’s grandmother) said they did not ask for the book to be removed from the curriculum, however. Below, check out the full letter sent by KRRP to Biloxi Superintendent Arthur McMillan yesterday.